Dermatologic (skin) disorders are the most common medical conditions that dog and cat owners seek veterinary care for. Skin allergies and ear infections (otitis externa) are at the top of the list of most common ailments we treat in our canine patients at the Animal Clinic of Billings. Both skin and ear problems can cause severe discomfort in cats and dogs alike. At the Animal Clinic of Billings, our veterinarians have years of experience in diagnosing and treating various skin and ear conditions. Along with addressing the immediate dermatologic problem, we can also provide your pet with a treatment plan for long-term management of chronic skin and ear diseases. The treatment plan is tailored to each pet’s condition to ensure that every pet receives the best possible care. Veterinarian and Animal Clinic of Billings owner Dr. Brown offering expert medical advice. Once a diagnosis of the specific skin condition is made, we offer a treatment plan for your pet. Treatment options include: oral medications, supplements, medicated shampoos and other topical medications. We carry a wide variety of these products for your convenience. Sometimes changing a pet’s diet will resolve skin and ear problems as well. Dermatitis is one of the most common skin conditions that we encounter here at the Animal Clinic of Billings. This disease involves inflammation of the skin and is typically associated with allergies, but there are other causes as well. We recommend an examination if you notice any of these symptoms listed above in your cat or dog. 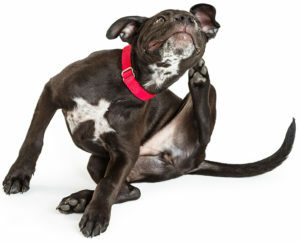 Just as you can get a skin rash or an ear infection, your pets can too! However, because they are completely covered in hair, many skin problems often go unnoticed simply because we are rarely able to see the inflamed area until considerable damage has occurred. That’s why it’s so important to watch for tell-tale signs that your cat or dog is experiencing skin or inner ear discomfort. Since your dog or cat relies on you for their care, it is ultimately up to you to identify that something is wrong and that they need to see a veterinarian. 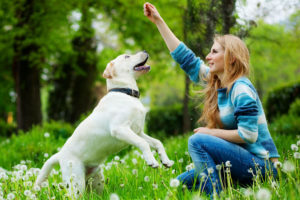 Unfortunately, your pet won’t understand their own discomfort if they are in-fact suffering from skin problems, which means they will itch, lick, or nibble the infected area until they can’t anymore. The more time your pet is allowed to do this, the longer it gives them the opportunity to make it much worse. In fact, if you do not seek treatment for your pet, scratching or biting at the infection or irritation could break their skin and create a secondary infection, essentially creating more issues that you will eventually have to treat. 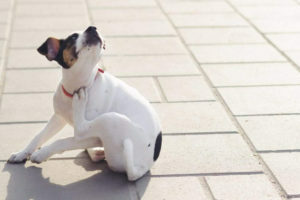 For these reasons, be on the lookout for any signs that your dog or cat seems unusually itchy or irritated by their skin or ears and contact us immediately if you feel that something is wrong. 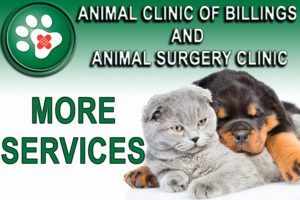 The Animal Clinic of Billings also offers medicated baths and skin treatments for various skin conditions. To make an appointment with one of our doctors or to inquire about our medicated baths, please call us anytime during our regular business hours. Our first step in identifying anything starts with a simple exam room visit. Then if one of our veterinarians believes your dog or cat is suffering from a potential skin or ear infection we go from there. Treatment is relatively simple and only requires a few short tests to identify an infection. After performing a few tests, such as an allergy test, one of our veterinarians will be able to confirm if the infection is the result of an allergy your pet is having, and specifically, what your pet is reacting to. Also, tests will be able to notify you and your vet if there is an underlying infection or any rare skin or ear conditions. This will determine the length of the treatment and the seriousness of the issue. At the Animal Clinic of Billings, we offer serum antibody allergy testing. This blood test checks for food, environmental and inhalant allergies specific to your pet’s home zip code. It is a minimally-invasive way to determine why your allergic pet may be so uncomfortable. Test results include food recommendations and can be used to prepare a customized treatment protocol for injections that can be administered either in our facility or in the comfort of your home.